As an Internist, I'm well aware of the many health problems that people can face when they are overweight. Excess weight can increase the risk of health problems, with lifelong consequences. ln adults, overweight and obesity are linked to increased risk of heart disease, type ll diabetes, high blood pressure, certain cancers, and other chronic conditions. When I advise my overweight patients to lose weight, it's good to be able to refer them to someone that has the practical experience to help patients reach their goal. 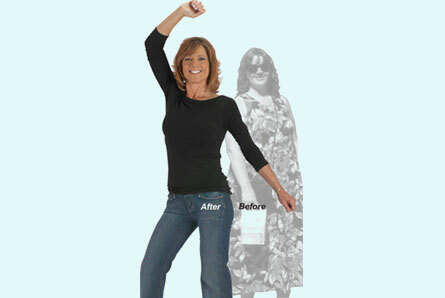 Linda Waxler is a certified weight-loss counselor, whom I have known for over ten years. I know her to be extremely dedicated, conscientious and knowledgeable, and she well understands the frustrations that people go through when trying to lose weight, as she was once overweight herself. Over the years she has helped many of my patients succeed in losing weight, which, in turn, has helped set them on a path to improved overall health, preventing or actually reversing some of their medical issues. And helping some decrease or even end medications they have taken to control certain weight-associated conditions. The program and guidance Linda provides are healthy and nutritionally sound. She works with the individual and his/her lifestyle and provides strong support throughout. I highly recommend Linda Waxler, without reservation, to anyone who needs to lose weight. 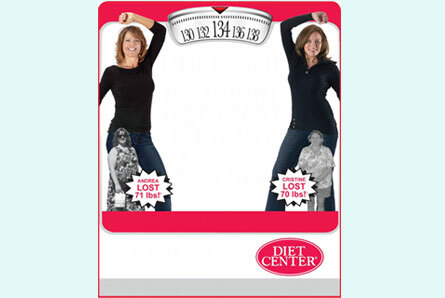 The Diet Center program is provided by several centers in greater NYC. And while the program is built around real food (not a base for selling branded packaged, processed foods), what matters most, either in the weight-loss phase or the maintenance phase, is the relationship you develop with the person or people who partner with you through the wonderful experience of feeling better with each pound lost and kept off. I had experiences with a couple of centers, each with nice people - before finding and staying with Linda Waxler at her 40th Street Center. I live in Queens but would never consider going anywhere else for the encouragement, advise and infinite patience that Linda has for her clients. She knows what it's like to diet and she knows what it's like to maintain her weight - because she's done it and is doing it. She cares. Absolutely, every day, with every phone call and every visit. Linda is the cheering section with success; the understanding counselor when the scale hasn't moved; the encourager if the scale inches up; and all of those when needing to see one through a plateau or through a bad patch in maintenance. Those of us who love food, gourmets and gourmands alike, struggle with balancing indulging ourselves with all the wonderful tastes out there - and regaining or keeping our looks and health. Having a partner in the process is a huge help, so I'm very glad to be able to recommend Linda and encourage an information session with her to learn about the diet and to see if it's for you. If you decide that it is, you won't find a better partner than Linda to help you succeed. 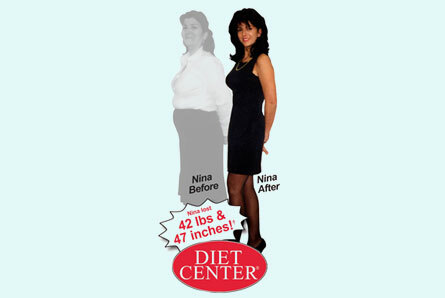 It is my pleasure to highly recommend Linda Waxler of Diet Center as a weight counselor. Having been pre-diabetic with high blood pressure and 30 1bs. overweight, Linda truly saved my life. With her help and guidance, I was able to lose the weight and keep it off. 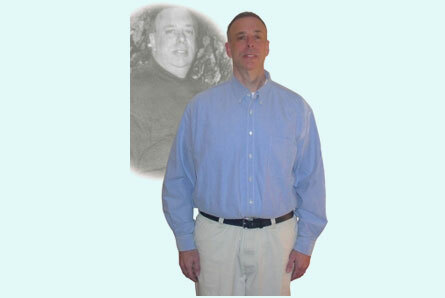 My health issues are now gone due to my weight loss and new awareness about food. Words cannot express how grateful I am to her. I am pleased to recommend the Diet Center and Linda Waxler to anyone who has struggled with both losing weight and keeping it off, and is now ready to try something different. Like most people, I have struggled with my weight since puberty and being raised in the South, did not afford me a lot of healthy choices. After trying various programs from coast to coast I became a professional dieter (I resisted the term yo-yo) and became great at losing weight. Unfortunately I became fantastic at putting it back on, often in the middle of the diet! One of the biggest shifts in my thought process was measuring my success on my ability to lose weight. In fact, losing the weight is an important step, but it is just the first step. Keeping the weight off is the struggle and is also the real success. Linda's ability to apply my lifestyle to the program was instrumental. The easiest thing to do is give up, and Linda did not let me do that. Through pounds, plateaus and finally, a pregnancy, her guidance helped me lose the weight and manage to keep it off for over 15 years. What I liked most about the program was the one-on-one counseling by someone who had completed the program and the fact that both the diet and the dialogue was customized for me. What's the biggest difference in the program versus the others? In a word, Linda. She never let me give up. In her calm and inspirational manner, she always made me feel like I could do it, and I am happy to say, she was correct.